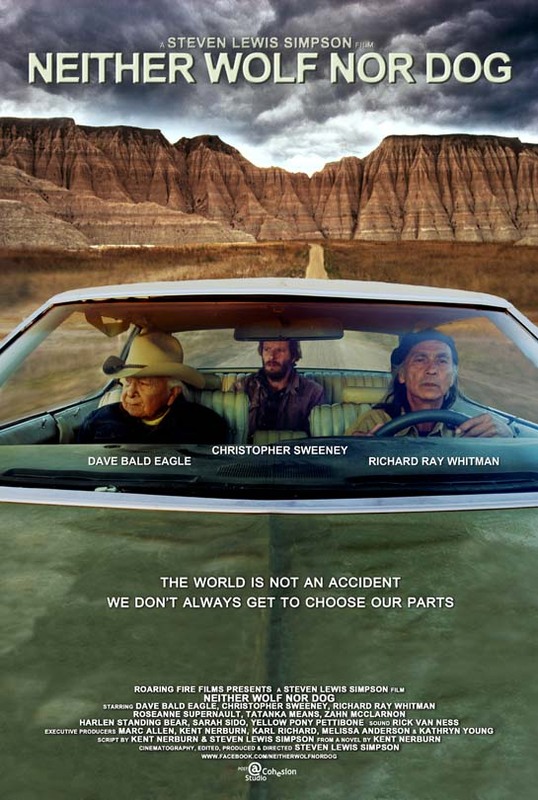 Adapted from the acclaimed novel by Kent Nerburn, this funny and deeply moving film follows an author who gets sucked into the heart of contemporary Native American life in the sparse lands of the Dakotas by a 95-year-old Lakota elder. Kent Nerburn (Christopher Sweeney), a good-hearted, white American family man and writer, receives a mysterious call from a distant Indian reservation regarding an oral history book he made with Red Lake Ojibwe reservation students in northern Minnesota. Despite misgivings, Kent travels across America’s northern plains to arrive at the bleak, poverty-stricken reservation deep in the high plains of the Dakotas. The old man, Dan (Dave Bald Eagle), who lives alone in a clapboard shack back in the hills with his only real companions—his dog, a close friend named Grover (Richard Ray Whitman) and his granddaughter, Wenonah (Roseanne Supernault)—interrogates Kent as to his motives for working with Indian people. Once satisfied he is not a turquoise clad "wannabe" spouting Indian philosophy, Dan recounts the story of American history from the Native point of view. As the stories pour from Dan, Kent’s understanding of the world is turned upside down. An inanimate landscape comes alive, and a history he thought he knew is called into question.